Another record show, another disappointment. It's the same story over and over and I really should stop going. The decent dealers (which is about 5 of them) gets hit hard and it's a fight to get anything decent from them. The rest (about 10 of them) has the same insanely overpriced crap that no one touches other than for a few stray people who doesn't know what stuff is really worth. This time around I paid $5 to get there early but it didn't really help me any. I missed out while fat cow women and obnoxious old men wouldn't budge an inch for me to see anything while they snap up incredible mounds of cheap LPs from the best dealers while they set up. Normally I wouldn't mind that stuff but this time around they took just about anything and left me the total crap which one would find at a Salvation Army. Like dudes, seriously leave some for the rest of us. What pissed me off so much was that some old guy, probably 60+ was snapping Misfits LPs up, fat cows in their 50s picking up Hello People and so on. Like there is no way in hell they should be into that stuff. Urgh! The worse was seeing dealers paw though the cheaper dealers stuff for stuff to flip. One dealer guy was buying ratty Kiss LPs for $2 to $3 each and he'll obviously will mark them up to $15+. Jerks. So I was lucky to find anything at all, it was another light spending, around $20 I think. Here is what I bought. 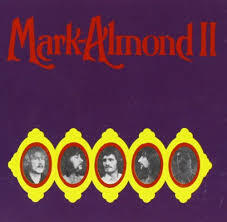 Three Mark Almond from a dealer which I've never seen before. It appears that he had set up at the other shows this spring and so his stuff was rather picked over as this show was the last one until the fall. I think he had good stuff to start with. So I was lucky to get anything. 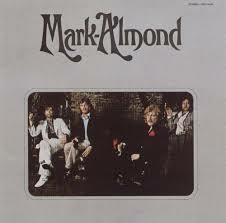 Mark Almonds were 3 for $5. He's pretty progressive/funk and I may have the first LP already but I know I don't have the other two. 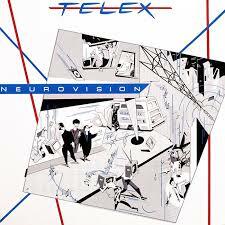 Telex - Neurovision. I got this one when I was about ready to leave. I was iffy about it as I couldn't remember if I liked or hated them. I know it was pretty rare to get but I was feeling a bit too pissy by then to care about it. It was from a dealer I knew and he talked me into it for $2 which isn't too bad. I'll probably end up liking it. I've not thought of the band since the 90s, it's not one that gets much mention. 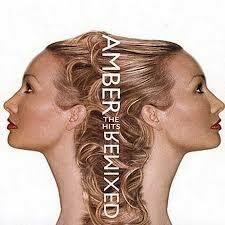 Amber - the Remixed for a dollar. I will probably end up flipping this. I wasn't sure if I'd like it or not but it was pretty rare on a 3 LP set. All the copies on ebay are for the CD version. Seems like average pop stuff from 2000. 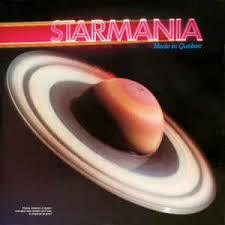 Starmania - Made in Quebec. Another dollar LP which I never heard of. Tested it on my phone and it was pretty good. Turns out it's one of those Andrew Lloyd Webber type Rock Operas from the late 70s but in French. Seems several songs were huge hits at the time on French radio as well. Probably my best find of the day! 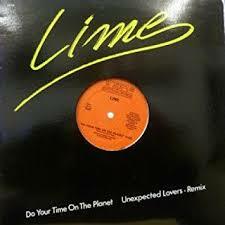 Lime - Do Your Time on the Planet. I love Lime a lot, first Italio Disco group that got me into that scene. I was into them long before I knew what Italio Disco was. Well they are not even Italian, they are Canadian but they have that same sound. I don't remember ever seeing this one and actually anything Lime is sorta hard to find. I'm thinking that's because it probably didn't sell well here in the USA or people snap Lime stuff up quickly. It was a dollar which is a good price. Special remix LPs made and sold illegally tend to fetch a lot of money on ebay, if ebay doesn't shut the listing right down. I've probably 100 of these things in my collection and I'm so afraid to sell them as who knows what would get taken down. Anyway, I bought this one because it has a remix that I'll probably enjoy. 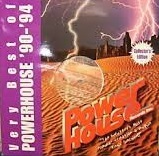 Ace of Base "All that She Wants" Remixed by Aaron Scofield (Power House Records). Also has Technotronic's Get Up which I probably know if I hear it. And Musto & Bones/Heavy D. & the Boyz which I don't know at all, but perhaps I have heard before. Only a dollar, what a steal! 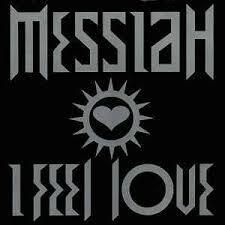 Messiah - I Feel Love. Now this one I knew only because of Donna Summer & Giorgio Moroder. Big Moroder fan which I've probably mentioned elsewhere on this blog. I knew instantly it was a cover and I was right. Pretty good stuff for a dollar! Shamen's Make it Mine and Eon's Inner Mind/Spice. Classic techno love here. 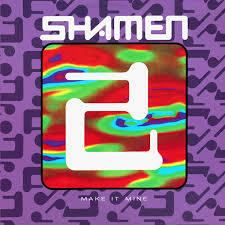 Shamen I really REALLY love but their stuff is a bit hit or miss depending which album the song is from and which of the bazillion remixes is being played. Destination Eschaton is one of their best songs ever. Make it Mine is a bit meh compared to that but I am hoping for a good mix on this vinyl. 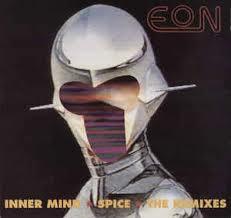 Eon I was SUPER surprised to find as I've not thought about them since the 90s either. I remember him being really good back in the day and enjoying his Void Dweller CD but I don't know what had happened to it. I probably have it buried in my collection. Anyway Inner Mind has sound samples form The Outer Limit which makes this extra cool for me, as I'm a huge fan of those old sci-fi shows. I remember Eon stuff being very overpriced whenever I did find any of it which is why I never managed to get any of the remixes. Both were only $1 each. It's sort of like finding a cool Pet Shop Boys, Erasure or Depeche Mode for only a dollar, the sort of stuff that gets snapped up fast if the right person discovers it. 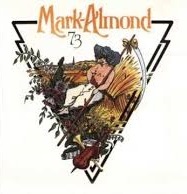 This mini picture disc I found mixed in with the Mark Almond guy's stuff. I know I found it only because it was so small and hidden between other normal LPs. 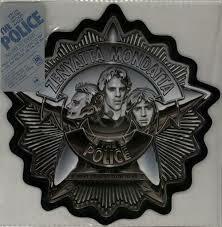 So I got it for only $2 and I'll probably end up flipping it as I'm not a huge fan of the Police outside of a handful of hits. 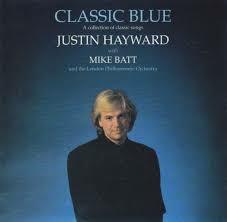 Justin Hayward w/ Mike Batt and the London Philharmonic Orchestra - Blue. And lastly this on CD for only a Dollar. It came from that same guy with the Police and Mark Almond stuff. He had a ton of cds but they were all light jazz stuff which tends to be pretty dull. I was surprised to find this one as Justin is the main guy from Moody Blues and he's covering a lot of other artists here. Turns out it was just like the other soft sounding dull crap. Listened to some of it on the way home and it was a tad lousy. I don't know Tracks of my Tears (Smokey Robinson). MacArthur Park I love but this orchestra version sorta sucked until the ending part. Blackbird (Beatles) I never heard before but the again I don't exactly care for the Beatles either so that sucked. Vincent (Don McLean) is yet another dull ballet and he only has that one good song (American Pie). And that's where I stopped as I got home. Skimmed though the rest just now and it's just as bad. Looking at the list there are a few that I should love. God only Knows/Beach Boys. A Whiter Shade of Pale/Procol Harum. Forever Autumn/Jeff Wayne. But he made everything into uber slow and dull ballets when I was expecting jamming Orchestral Rock. I mean Orchestral Moody Blues would be so awesome but this reeks of just bleh that Justin probably felt should be doing at that point in his career. It's probably why I've never heard of this one before as it's quite a slow plodding disappointment.